This guy was far less enthusiastic when he was serving Papa John’s. 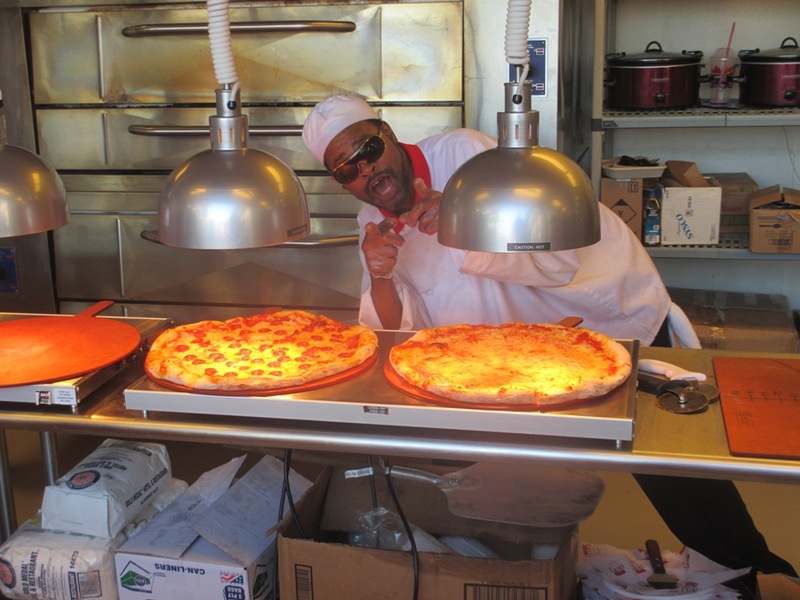 What to Eat at Nationals Park, Tip #1: Enzo’s Pizza. 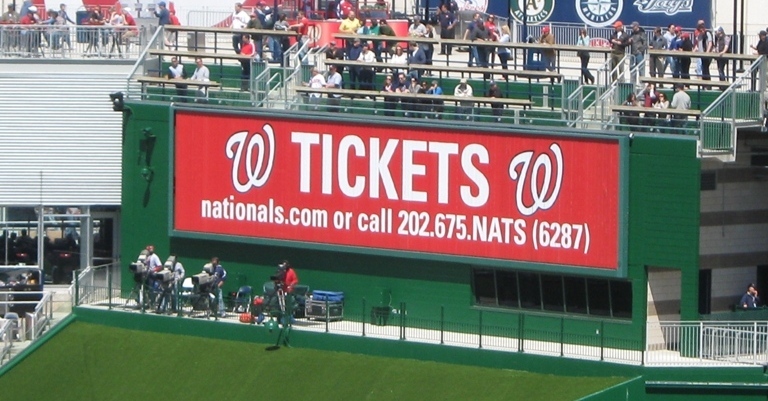 The Nationals wisely decided to eschew Papa John’s in favor of Enzo’s recently, which is a move we can all applaud. If a ballpark is going to represent local foods, that should include pizza. This writer tried a slice of Enzo’s in a recent visit to Nats Park and was well pleased, and it isn’t easy to please a South Jersey guy when it comes to pizza. In fact, it might be the best slice of pizza I’ve had at a ballpark. The crust is thin and it comes with an ample amount of pepperoni. It’s on the greasy side, but you can pat it with a napkin if you care about such things. From Papa John’s to Enzo’s. +1 Nats. Baseball gets better all the time. 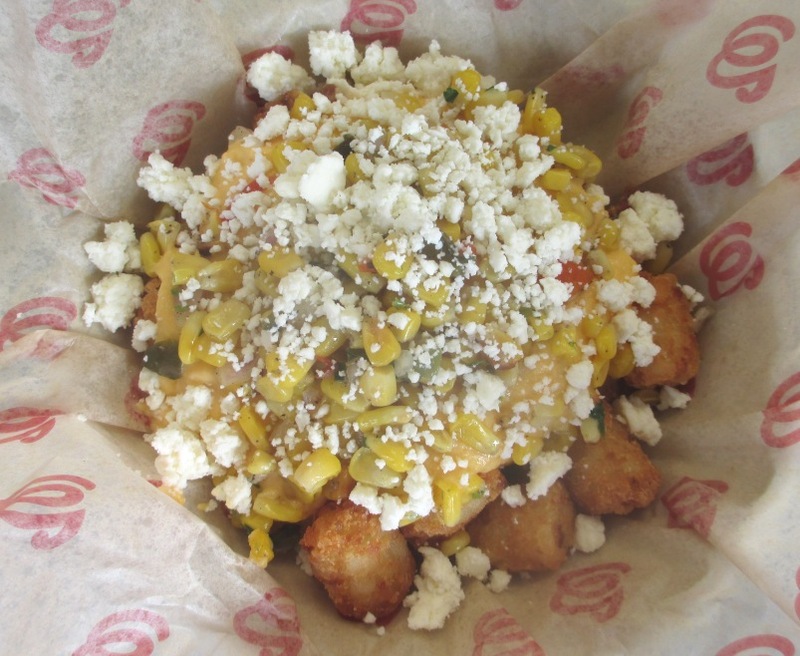 What to Eat at Nationals Park, Tip #2: Loaded Tater Tots. In the left field corner, there is a stand called “See. You. Tater.”, a play on MASN announcer Bob Carpenter’s home run call. “Tater”, of course, is baseball slang for a home run. And any stand with a cool name like that is worth checking out. Your pile of tater tots in this joint can be smothered with Buffalo chicken and blue cheese, pork belly and picked cucumbers (the “Intentional Wok”), BBQ sauce and mac and cheese, or my personal favorite, the Chesapeake Bay edition with crab meat and crab queso. You gotta be slick to nail down a photo before they disappear. 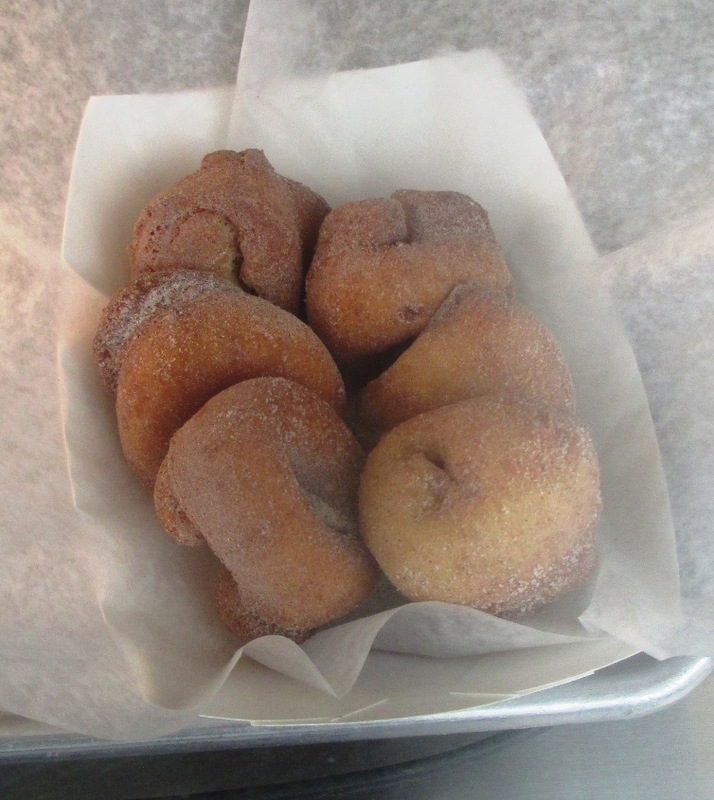 What to Eat at Nationals Park, Tip #3: District Doughnuts. The District Doughnuts stand was added in 2015 I believe; it’s from a Barracks Row store that is very well known with locals for their hot and crispy donuts. The District Doughnut people admit that their doughnuts are smaller than the industry average (seriously…one of their reps told me that)…but that’s on purpose. It helps the flavor, see. As a doughnut lover, I can vouch for the value of small and toasty doughnuts. At the Nats Park edition of DD, you can get the simple vanilla, cinnamon sugar or powdered sugar doughnuts; they might have an unusual flavor like their popular Dulce De Leche when you visit. There you go folks…but I’ve only covered a small sampling of the phenomenal food selection at the ballpark in D.C. Stay tuned…don’t miss out on the cool stuff.